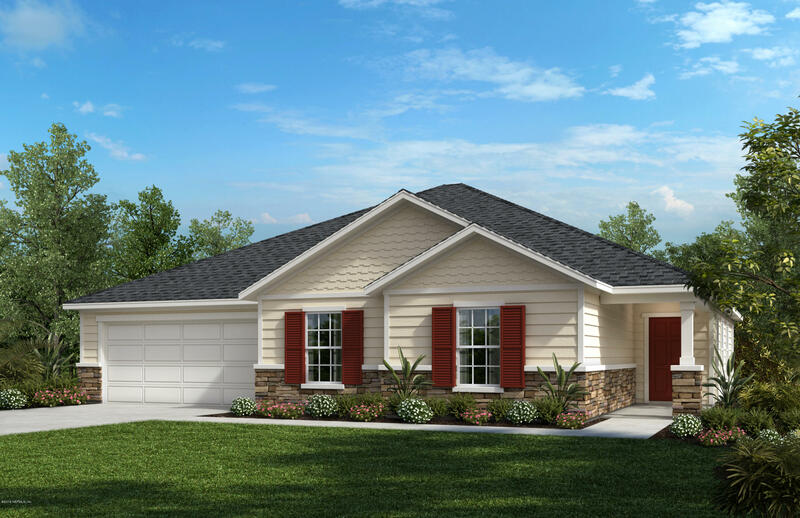 The Dalton is one of KB Home's most desirable floor plans with 2005 square feet of open living space. Spacious kitchen with energy star appliances, including side by side refrigerator, 42' cabinets, microwave, pantry and so much more. The great room is bright and open offering expansive views of the rear yard and covered patio. 3 bedroom, 2 bath split floor plan with spacious master bedroom with a large walk in closet, shower in lieu of tub and double bowl vanity. Stop by the model home today to learn more about our energy efficient homes and features. US Rt. 1 to Gun Club Rd., then east to Capo Island Rd. Turn left on Capo Island Rd. and follow to Coastal Village Lane. Turn left to Model home center. 70 Coastal Village Ln is a 2,005 (*estimated) square foot home with 3 bedrooms and 2 bathrooms located in St Augustine FL, ST. JOHNS County. This property is listed for sale at $310,990 and is currently active and accepting offers.